Skyforger is confirmed for mighty Party.San Open Air, which in 2019 will celebrate its 25th anniversary! This german festival offers the finest bands of the Death / Black / Thrash / Heavy and Doom Metal scenes worldwide. Get all infos at: www.party-san.de, and also pay attention to festival on Facebook: www.facebook.com/PartySanOpenAir666. 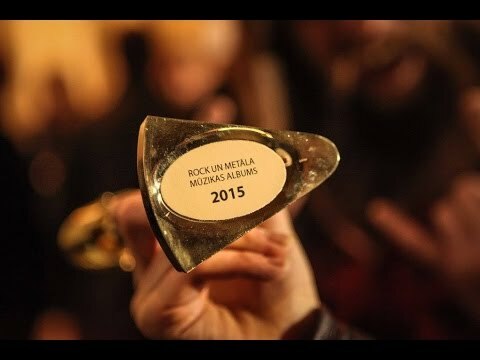 We are very honored to say, we just received the annual Latvian Broadcasting Media award “A Kilogram of Culture’” in the category “Surprise of the year” for concert “Kurbads. Son Of The Mare” on 3rd June, 2017. A Kilogram of Culture is an annual award given by Latvian Television and Latvian Radio for achievements in Latvian field of culture. Hi friends! We are glad to announce five Skyforger concerts across Spain and Portugal this October! It will be great to meet old fans in cities we didn’t play in last touring cycle (Madrid) and to discover some new places as well (Oviedo, Vigo and Lisboa). Check out your nearest city and please share updated tour flyer. We hope to see you at these shows! All dates will play also Spanish folk metal band Salduie. On Lisboa date three more bands were added: Gwydion, Air Raid and Evil Killer. In connection with upcoming tour, Peter spoke about past and future with Portuguese webzine ‘Sounds from Apocalypse’ webzine (in english). Organized by: Kivents, Suspiria Records & ITP Promotions. Hola amigos! En Octubre volvemos a España y Portugal! Nos vemos! Olá pessoal, é com muito gosto que teremos a honra de voltar a Espanha e Portugal no próximo mês de Outubro. Até lá! Watch the most ambitious Skyforger show of this summer! KURBADS. SON OF THE MARE is a multimedia heavy metal experience that was performed live on the 3rd of June at the Lielezers open air stage in Limbaži, Latvia. The heavy metal opera tells the story of the legendary Latvian folk hero Kurbads. Tales about will, individual advancement, initiation and fight against demons imagined and real all intertwine in this beloved folk tale, which remains relevant to this day. KURBADS. SON OF THE MARE is a modern day interpretation of the tale, employing the elements of nature, such as timber and fire, along modern stage technologies, bringing you the most spectacular stage show so far in history of Skyforger. Music by SKYFORGER. Directed by Inga Tropa, stage design by Uģis Bērziņš, choreography by Guntis Spridzāns. After many years we are pleased to announce Skyforger folk music concert in Lithuania and it will happen at beautiful lake side of Kilkim Žaibu festival. 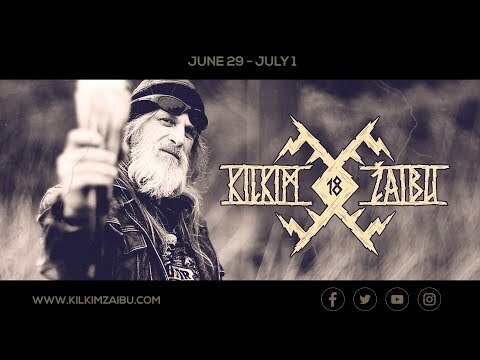 The biggest festival of extreme music, dark arts and ancient traditions in Baltic states, KILKIM ŽAIBU summons its followers already for 18th time! KILKIM ŽAIBU – this is more than a festival. This is passion to live! It means top level sound / stage and exclusive bands from all over the world! It is amazing nature and fantastic audience! This is authentic folklore, real warfare, true rock’n’roll and genuine bastion of metal music in Lithuania! Come to check it out yourself! + and will be more bands! After many years we are pleased to announce our folk music concert in our neighbouring country Lithuania and it will happen at beautiful lake side of Kilkim Žaibu festival! Other bands on bill includes such names as Abbath, Månegarm, Obtest, Mgła, Archgoat, Vulture Industries, Loits and a lot more. Kilkim Žaibu is biggest festival of extreme music and ancient traditions in Baltic states. Hi friends! We are glad to announce five Skyforger concerts in Spain and Portugal this October! It will be great to meet old fans in cities we didn’t play in last touring cycle (Madrid) and to discover some new places as well (Lisbon). Check out your nearest city and please share flyer. We hope to see you at shows! For the fourth year now Labietis will be inviting a dozen of the best breweries of the Baltics as well as some interesting breweries from the rest of Europe for a beer festival in Riga. Besides the best possible choice of beers in Latvia, the folk group Grodi will see you through the traditional activities of the ancient beginning of spring celebration – Metenis. 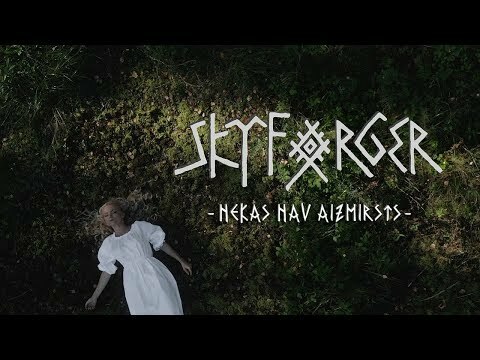 And be sure not to miss an exclusive folk concert by the worldfamous latvian heavy metal band Skyforger. This year Metenis will be a 2 day festival (3rd and 4th of March), to ensure an opportunity for beer lovers to try more of the excelent brews in 160ml or 80ml servings. Expect 100+ beer varieties. List of breweries, as well as additional musicians and ticket info coming soon.